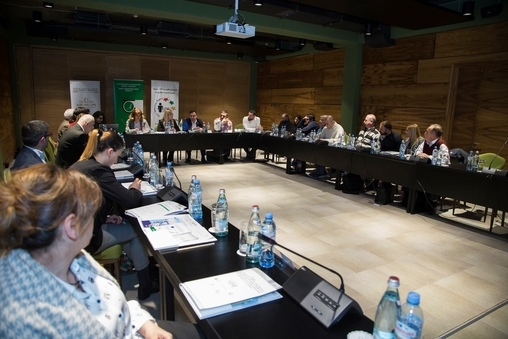 On 26 January the Conference: “Housing Policy, Sustainable Housing Management Practice, Energy Efficiency and Funding: current situation, challenges and perspectives for comprehensive solutions and affordable funding” was held in IOTA Hotel Tbilisi. The aim of the EU-funded project is to strengthen the capacity of civil society organisations (CSOs) in the housing sector decision-making. After the entry into force of the EU-Georgia Association Agreement, it is one of the first events in this format by discussing the housing sector in terms of the interests of civil society. The EU-supported project has been implemented in Germany and five different countries, and ensures the engagement of the non-governmental, governmental and private sectors on the housing issues. The conference was organised under the framework of the project“The way forward for reforms in the housing sector: empowering grass-root homeowners associations in Azerbaijan, Belarus, Georgia, Moldova and Ukraine” by Charity Humanitarian Centre “Abkhazeti”, Local Democracy Agency Georgia, and Civil Society Institute, and New Technology Center. The project has been implemented since 2015 in Germany and five Eastern Partnership countries. The Lead partner of the project is the German organisation “Housing Initiative for Eastern Europe (IWO). The aim of the project is to strengthen the capacity of civil society organisations (CSOs) in the housing sector decision-making. The project ends on 31 January 2018. 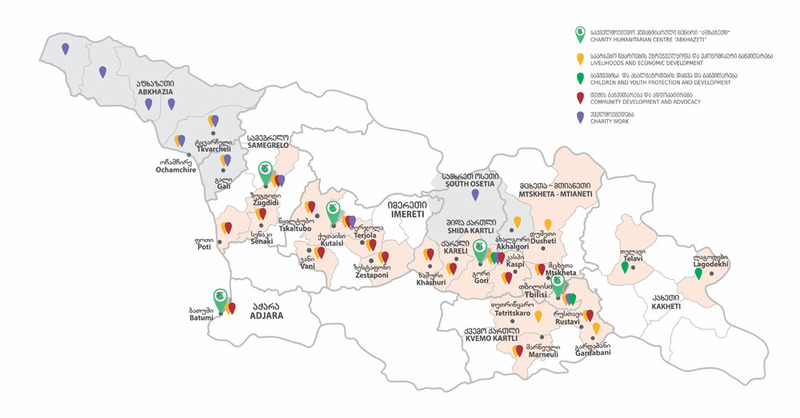 The project partner in Tbilisi is Charity Humanitarian Centre “Abkhazeti”, Local Democracy Agency Georgia in Kutaisi, and Civil Society Institute in Batumi.